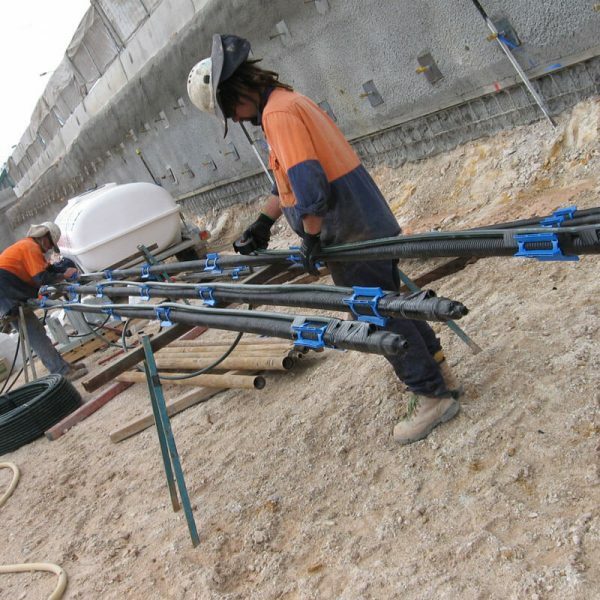 QPS ground anchors are used to transfer load from an in-ground structure that is retaining an unstable interior behind. 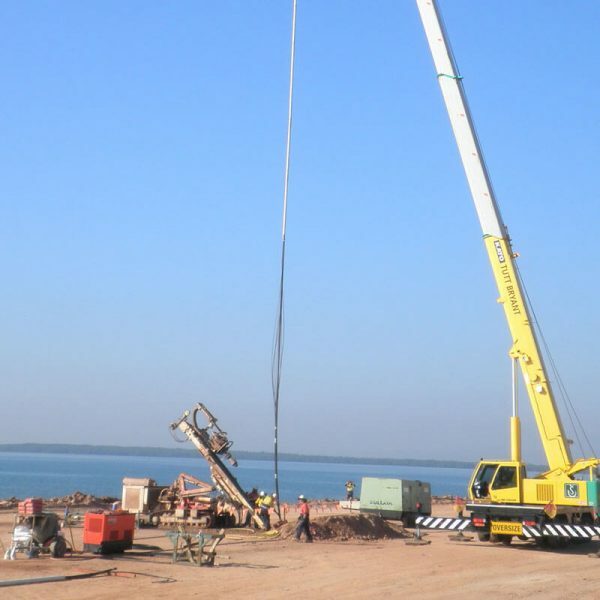 The purpose of the anchor is to tie back the structural element by anchoring into rock or competent material at a distance behind the structure. 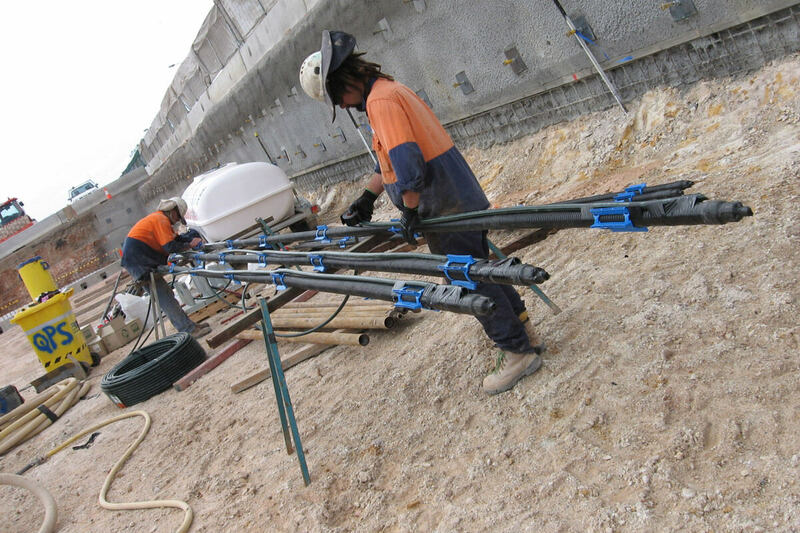 QPS’s ground anchors have been installed throughout Australia and are in use for securing structures, retaining walls, deep excavation retention, foundations, marine structures and dams. Depending on your needs we have the capability to provide short and long term design life ground anchors with various levels of corrosion protection including up to 100 years. QPS provide temporary ground anchors in applications where the design life is usually less than 2 years. Predominantly temporary ground anchors comprise a number of high tensile strands that are installed and grouted into a pre-drilled hole. The strands are bare and unprotected except for the free length which can be left void of grout or sheathed to permit elongation when loaded. QPS provide permanent ground anchors where the demands for an extended design life are required, usually 100 years. The structure of the permanent ground anchor comprises of a high tensile steel element encapsulated within additional corrosion protection of a corrugated polyethylene sheath which acts as a barrier for corrosion protection. The free length is constructed with additional smooth wall sheathing that is filled with anti-corrosion grease and placed over the steel element to provide additional protection and also allow for elastic elongation under pre-load. The inner and outer annulus of the sheathing is grout filled to transfer load and provide long term durability. The anchorage heads are highly engineered to fully seal and protect the permanent ground anchor from corrosion by utilising hot dip galvanised components, caps and grease to fill voids. QPS also provide special engineered anchorage heads that allow the attachment of purpose built load cells that allow for the anchor to be loaded to determine the residual load in the anchor and re-loaded to design load with the application of shims positioned under the anchorage head. 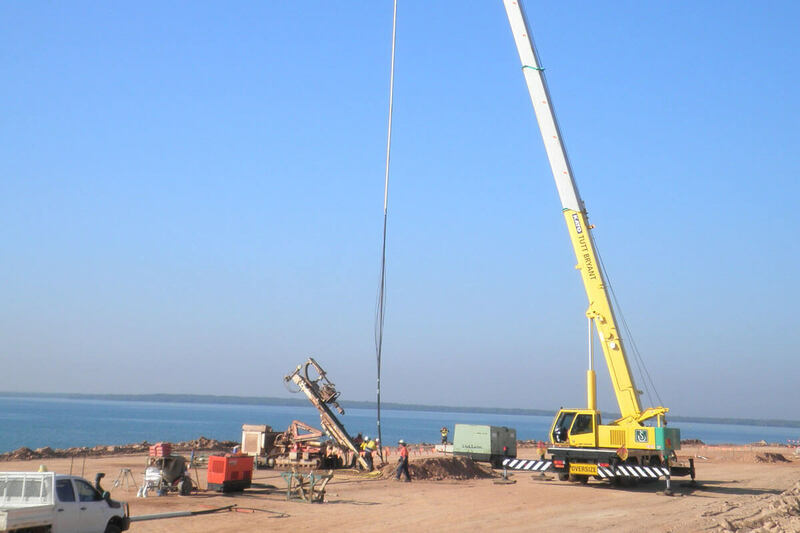 The application of re-stressable and monitorable anchors are most commonly used in Dam and tunnelling construction.